I’ve noticed a lot of readers have been finding my blog through searches for candidates in the At-Large race. I think voters are torn and are trying to find reasons to vote for someone, or against someone. Personally I think this race will be the closest of all of the council races, and still too close too call. But I can think of a few reasons, and one in particular, to not vote for incumbent Sarah Levison. But the main reason why people should consider an alternate candidate is Ms. Levison’s involvement in the Longmont Fair Campaign Practices Act (LFCPA). Immediately after being elected in 2007, Ms. Levison became obsessed with the LFCPA and was on the Task Force to institute some changes that ended up being disastrous for the City of Longmont. Ms. Levison pushed hard for contribution and spending limits under the guise of “transparency” – and even tried to make all citizens in Longmont pay for candidates campaign activities. Also known as “public financing of campaigns“. Thankfully, that was one step too far for council and it went away – until next time she attempts it. The implication made, and often fairly bluntly by Ms. Levison and her followers, was that unknown sources of money – and large amounts – could taint our election process. The “we’ll never know” excuse was made repeatedly about money coming in. So you would think, of all candidates, Ms. Levison would be careful to not show the slightest hint of campaign shenanigans and would be extremely transparent in her campaign reporting. You’d think…but you’d be wrong. As of the 2nd reporting period of campaign activity, Ms. Levison has raised around $3,800 in contributions. Fully a third ($1,197) are of the “non-itemized” variety. In other words, a third of Ms. Levisons contributions we have no way of knowing who they were from, how much they were for, and when they occurred. That is more than any other candidate or committee. So for a third of the money she’s collected there is ZERO transparency, nada, none, ZILCH. Under the definition of hypocrisy, I believe there is a file photo of Ms. Levison. Does that mean she’s broken the law, or to be correct our LFCPA? No. It is legal for candidates to collect up to $50 from individuals and not report it. That was raised recently from $20 (or $25) and I believe Ms. Levison voted against that change. Yet, regardless if it’s $20, $30, or $49 Ms. Levison is taking maximum advantage of this part of the rule in the face of her objections to people doing this very thing – taking unknown amounts of money from unknown people or organizations. That money could be coming from the very forces outside of Longmont that she wanted to avoid having an impact on our elections. Ms. Levison also benefited from a mailer put out by a political committee Moving Longmont Forward that has a lot of “non-itemized” contributions themselves. They reported an electioneering communication to advocate for Ms. Levison – and there’s a fair chunk of money they collected that we have no idea from where it came. This is the very activity that Ms. Levison, Brian Hansen, Sean McCoy and their loyal followers used as an example of why the LFCPA had to be changed in the first place. Yet it’s okay when it’s done on their behalf? I don’t think so. Bottom line: Ms. Levison’s negatives far outweigh her positives and Longmont voters should consider voting for another candidate. I know and am on good terms with both of her main opponents to one degree or another. Ron Gallegos served Ward 3 previously, but is getting little support as far as contributions and has said some controversial things that may not win over undecideds. Heath Carroll is a relative newcomer, but also the fairly successful business owner of Carroll-Lewellen Funeral Home and Foothills Gardens of Memory Cemetery. All three candidates are registered Democrats – apparently that matters as I’ve been asked and people have been Googling these candidates along with “party affiliation” in their searches. 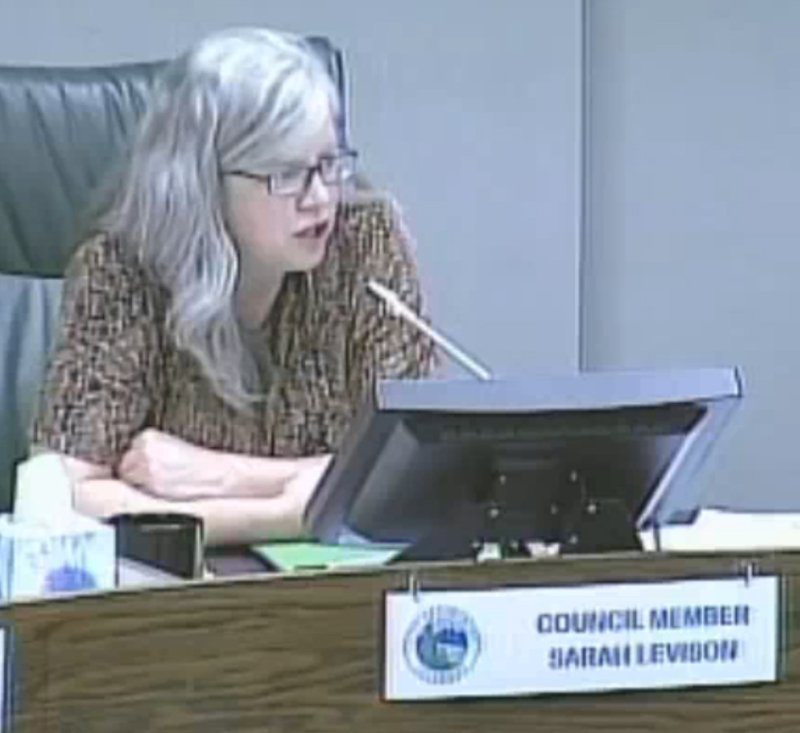 I think we’ve had enough controversy on this council in the last four years, and Sarah Levison has been a part of that. Most people don’t want to have to keep a wary eye on their elected officials, wondering what nefarious plans they are trying to institute while they aren’t paying attention. 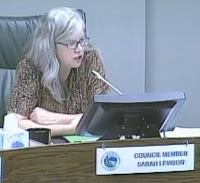 From my observations, Ms. Levison is a “big government” type of individual and is always busy trying to insert more and more government intrusion and involvement into your life. Just do a search on this blog with her name and you’ll find all you need over the last 4 years. It’s time for someone new. Apparently someone feels threatened by Heath Carroll as he’s had up to 50 campaign signs stolen and had his large banner cut to shreds. I’m in no way implying Ms. Levison or Mr. Gallegos had anything to do with that, because I don’t believe that. But I know some of Ms. Levison’s supporters – and I wouldn’t put anything past them. If you don’t want to vote against her, then vote against them, and vote against lawlessness. Tagged City Council, elections, Heath Carroll, Longmont. Bookmark the permalink.